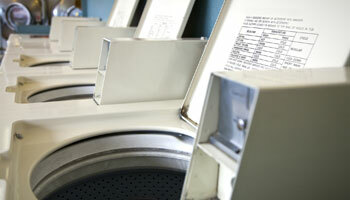 NuDawn Sparkle Cleaners also provides laundry services in Prince Albert. Whether you live in a building without a washer and dryer, you just don’t have the time, or you’d rather leave cleaning your clothes to the professionals, we can take care of this time consuming chore for you. Our professional cleaners will wash and dry any article of clothing from your undergarments to wool sweaters and outerwear. Our facility has a washer and dryer, and we use only the highest quality detergents, fabric softeners, and color brightening products available. We are knowledgeable about the water temperature, soil level, and type of cleaning products that should be used on your specific items of clothing. If your items require stain removal, we do that as well, ensuring they come out of the wash spotless. We can accommodate one item or a large load as needed. All laundered items receive our fluff and fold service. As soon as your items come out of the dryer, we will fluff them up and when folding them, we pay attention to detail, including straightening collars, buttoning buttons, and fixing pockets that are inside out. When you pick up your clothes, all you’ll have to do is put them away. NuDawn Sparkle Cleaners also dry cleans pillows of all sizes from throw to body pillows, bedding, and drapery. These items are often too big and bulky to wash in your home washing machine, but we have industrial size washers to accommodate these items easily. We work with velvet drapes as well to remove all dust and dirt. We will fluff and fold your sheets and comforters as well, leaving them smelling fresh and feeling cleaner than they could ever get by washing them at home. 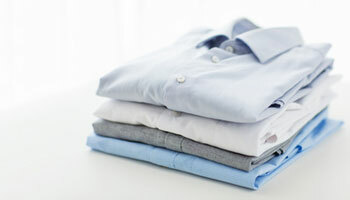 NuDawn Sparkle Cleaners also provides shirt laundry service for men’s and women’s button down dress shirts. We also make sure white and brightly colored shirts alike maintain their vibrancy. We can replace any broken or missing buttons for no extra charge, and we also insert collar stays to keep them straight and neat. Your shirts will be on hangers, wrinkle-free, and ready to put back in your closet.